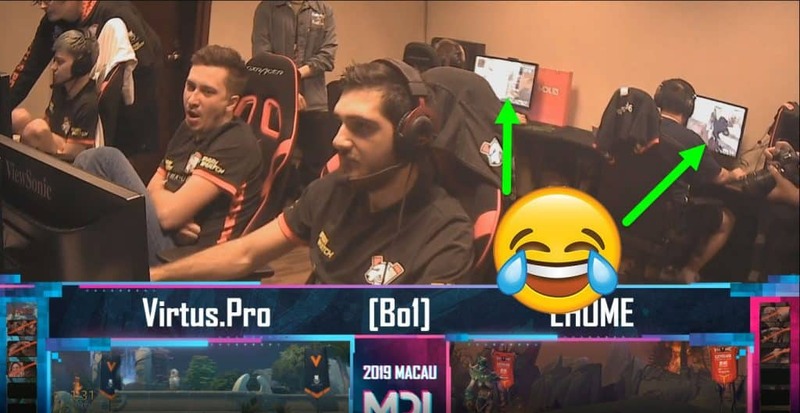 A funny moment was caught on stream at the MDL Macau 2019. Two Virtus.pro players were caught playing a different game during their draft against EHOME. Teammates weren’t impressed. 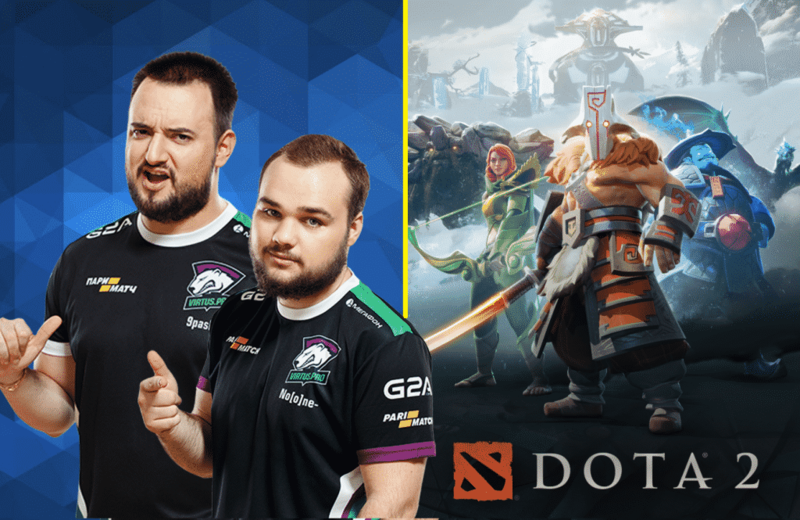 The Mars Dota 2 League (MDL) was in Macau, with the best 8 Dota 2 teams competing for a prize pool of $300,000 USD. One of the eight teams were Virtus.pro. During the stream, the Virtus.pro team consiting of P9Pasha, Ramzes666, Solo, No[o[ne and RodjER were all waiting during the draft to EHOME.At one point, Ramzes666, Solo, and RodjER were speaking to each other. They were waiting, while No[o]ne and 9pasha were behind them doing something else. Other: The Rise and Fall of The Giant – What Happened to OG Esports? The commentators started to pick up on the fact that No[o]ne and 9pasha weren’t even concentrated on the next match and they were trying to figure out what they were doing on their computer screens. Viewers in the chatbox were typing in their guess on what other game (than Dota 2) were the two playing as they definitely didn’t look interested in sitting around. Is Apex Legends Really that Good? “Oh yeah, they’re playing Apex Legends”. What’s funny about the clip is that No[o]ne and 9pasha are playing together as if they’re playing in their Dorm room, not caring about anything. Even though they were at the MDL competing for a $350,000 prize pool. Some users were commenting saying it’s unprofessional, while others said “who cares”. It’s a funny sight as esports tournaments are incredibly tense and stressful. But that’s not the case for No[o]ne and 9pasha of Virtus.pro.